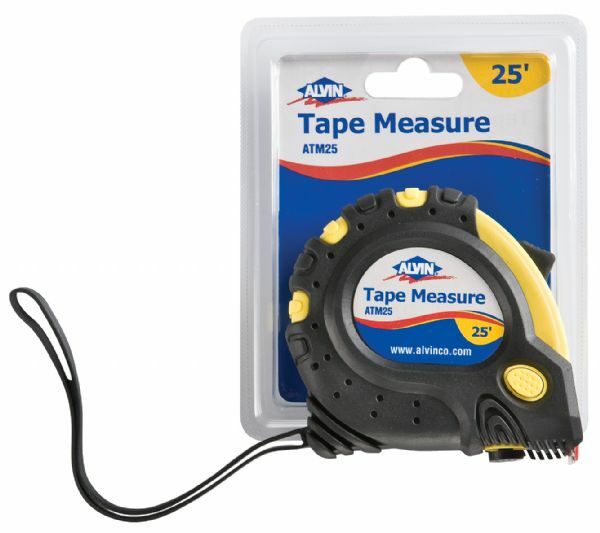 Retractable tape measure with wrist strap features three convenient locking stops located on the top side and bottom. * Injected metal hook end includes magnets. * Nylon-coated blade has longer standout. * Black and red graduations: feet into inches 1/8" and 1/16" and centimeters to millimeters.Carded. 5.5" x 4.5" x 1.75"